For the 2016 Boston Marathon, you didn't just need a Boston Qualifying (BQ) time, you needed to beat it by 2 minutes and 28 seconds. In the three years that this historic race has used their time-based registration process that allows runners who qualify 20 minutes/10 minutes/5 minutes faster to register ahead of the general qualifying population, this is the biggest cutoff gap on record (vs. 68 seconds last year). 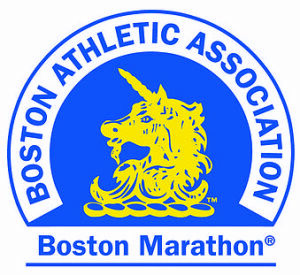 For 1,985 runners (16%) this year that had BQ's and applied to the 2016 race, that meant a rejection notice. It all started when 19,000+ runners who beat their time by 5+ minutes signed up in the first week, leaving only 5,000 slots (about 3,000 less than previous years). Since only ~24,000 of the 30,000 runners are time qualifiers, that was a tight squeeze. - 4,744 qualifiers who were 20:00 or more under their standard. - 7,495 qualifiers who were 10:00 or more under their standard. - 6,849 qualifiers who were 5:00 or more under their standard. - 4,540 qualifiers who were 2:28-4:59 under their standard. - 404 qualifiers with an active streak of at least 10 years. So it will be a fast one in 2016, and likely will just get all future qualifying runners to go even faster! I'm just glad I turn 40 eight days before the race, as this meant I made it into that qualifying category with room to spare with my marathon time this year! Unlikely to see you there, Scott, but I've been following your blog for years (and just recently on Strava), and put Boston on my "must do" list as a result of your love and enthusiasm for it (not to mention a bucketload of trail runs in the US and Europe). It's going to be a horribly expensive race (I'm a UK resident, so there's the 'dirty foreigner' entry fee, plus hotel, flights, etc. ), so I doubt I'll be back another year, sadly.